I have been a fan of this work for years. Teaching an Alternative Process class in Photography, we review a lot of those historical processes in the medium. I always try to make those processes as applicable as I can to today, looking for contemporary artists who are putting these processes to work. 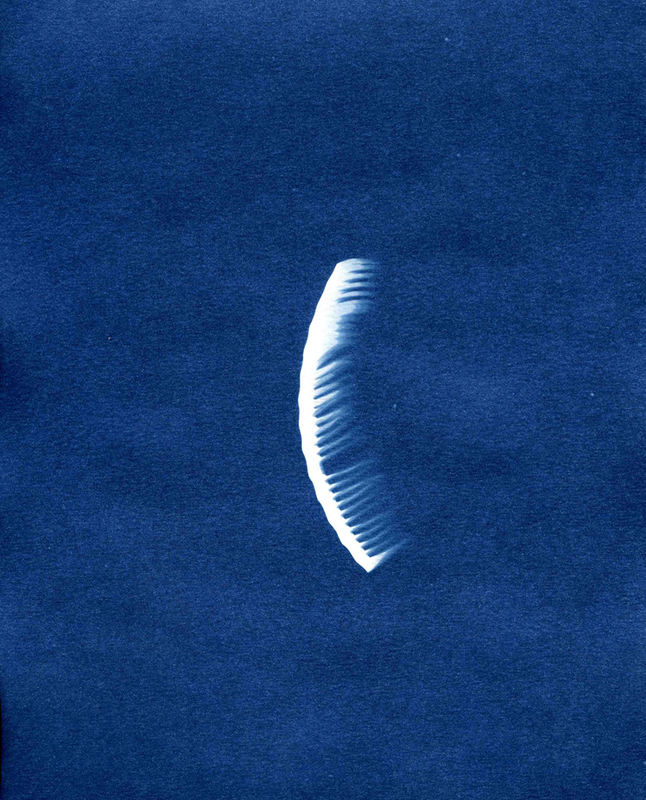 When learning about cyanotypes (what up Sir John Hirschel circa 1842), I inevitably get the question “But why? A blue photograph?”. Stumped in the past, it was this work by Elin O’Hara Slavick and a quote by Robin Hill, who made the lesson plan come together. 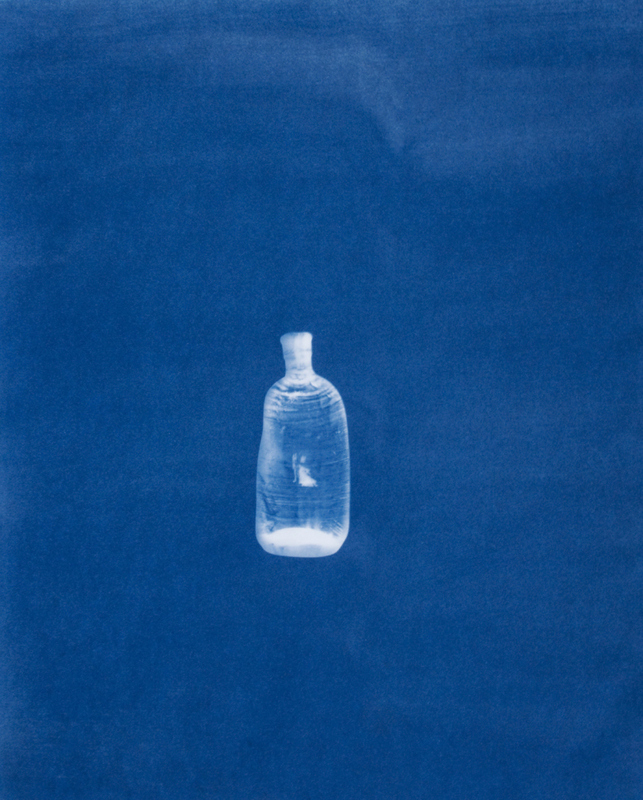 Robin Hill says that “cyanotypes allow us to see the potential of an object.”; the things about the object we can’t see, until light passes through it. Elin O’Hara Slavick spent some time in Hiroshima documenting the effects of the atomic bomb dropped there by the US during WWII. Her cyanotypes speak to the absence, the silence, of all that goes missing after that kind of destruction. 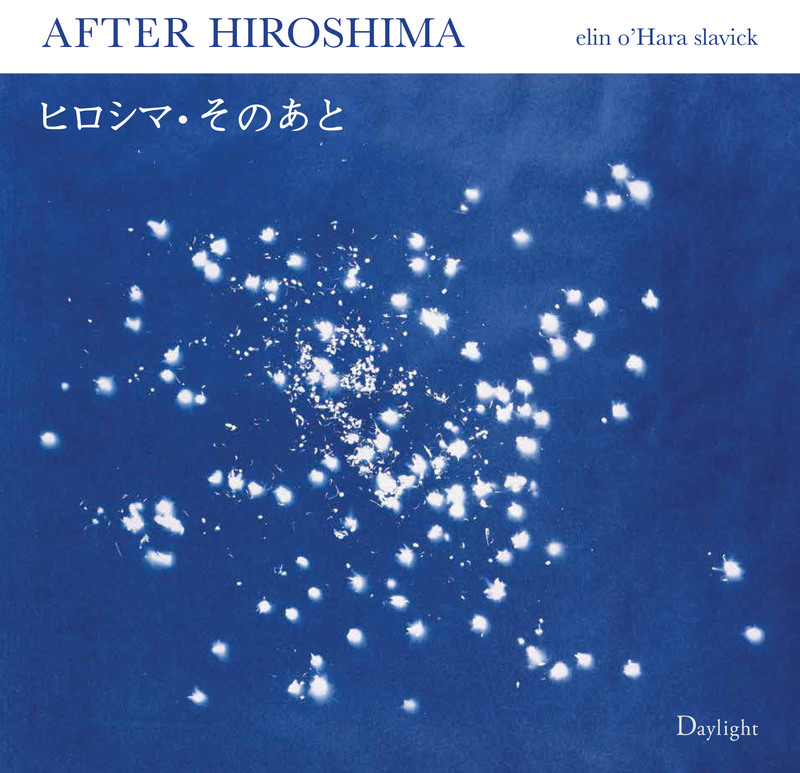 Daylight Books celebrated the release of her new book, After Hiroshima, at the ICP last night in NYC. I couldn’t make it, but I look forward to viewing the book. I encourage you out there to take some time to look as well. Thanx tamsen. Wish u had been at the ps1 panel today. I love the book even more than I thought I would. Beautiful design and production. Thanx for the appreciation and shout out!